The Timeless Viva. Inspired by the Tiffany Novo, but with additional touches to continue the modern, contemporary look. As with all our Timeless rings, no detail is left to chance. From the original CAD design to the final polish, all work is done with an obsessive attention to detail, which is what sets our rings apart. 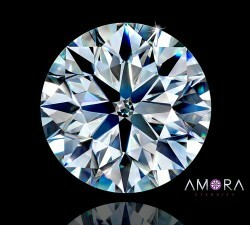 The Viva ring is set with 28 total side diamonds (natural mined diamonds). 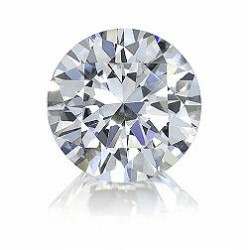 Each side diamond is 1.5mm, VS-Si1, F-G color and very well cut for a dazzling total of .40ctw of diamonds. The Timeless Viva ring can accommodate Round and Cushion center stones in 6.5mm, 7mm, 7.5mm, and 8mm. 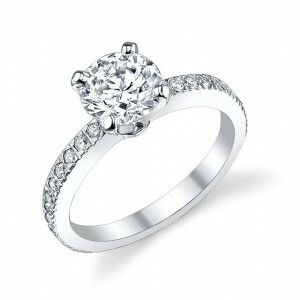 For a completed ring, please add a center stone to your cart and then checkout. 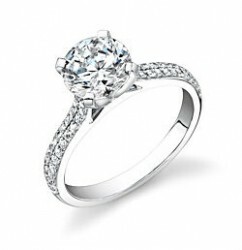 We will automatically assemble the stone with the ring to ensure you receive a ready to gift/wear ring. Available in palladium shank with platinum prong head, or all platinum. Our Timeless Viva Ring in platinum or palladium is among the only rings available in the world that are 'High Pressure Enhanced' after casting. 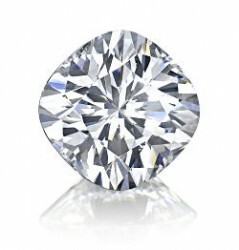 Height of stone off of finger: A 6.5mm round sets 7.5mm high.